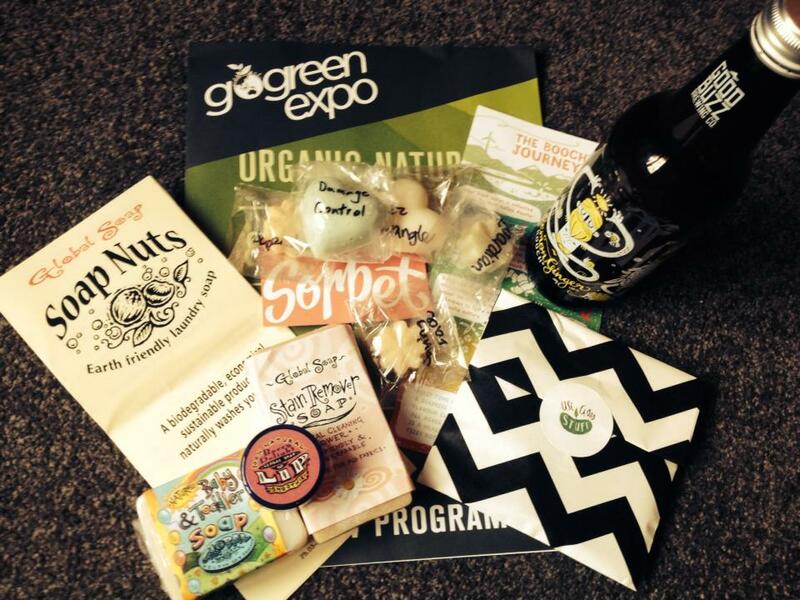 The Go Green Expo was on in Christchurch this past weekend, and of course the Use Good Stuff team were there prowling around. We started off the day running behind schedule, because E Cus gave me the incorrect car-pool-pick-up address. This isn’t important information, I just wanted to tell everyone. We were at the expo just after 9am, in our matching sweaters, eyes glistening with anticipation and excitement for the day ahead. Well, at least Poppy, James, and E Cus had beautiful glistening eyes; I was grouchy because I was up early and hadn’t had a coffee. So, our first stop was the Ris’tretto coffee van, which provided me with my delicious pick-me-up, before we set out to explore the rest of the event. Once we had finished packing our goodie bags, it was time to scout out some of the exhibitors! There was a lot of interesting stuff to see, so naturally we started with the food. Dukes of Sandwich was the first thing that caught our eye, but they were not immediately open for sandwich purchasing, so alas, we had to wait. We went our separate ways and found people to talk to and things to look at. I was immediately taken by the Global Soap stand, where I ended up making a few purchases later in the morning. We were all very excited about Sorbet being in attendance and the whole team ended up walking away with something from their awesome range! After a bit more shopping and talking and learning, it became apparent that Dukes of Sandwich had indeed opened for business. By this point, I was getting slightly overwhelmed and so distracted by the fun things that were happening, that I had forgotten my previous desire for bread interposed with meats. However, Poppy and E Cus indulged and gave some very positive reviews, and I entirely trust their opinions. 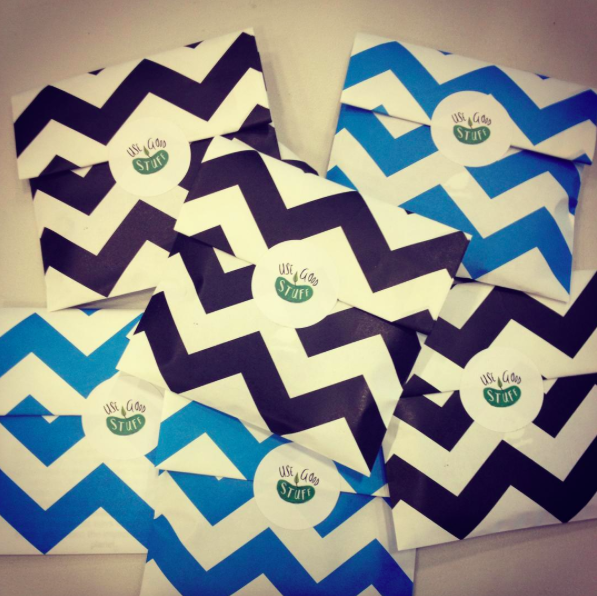 Our giveaway goodie bags, thanks to Tailor, Black Robin and ohnatural! At midday, Sara held a really informative seminar in which she explained a bit about the science behind her Tailor products. James refused to sit with us and moved up to the front row (he gets very excited about science). After the seminar, it was time to find lunch. James and I had previously scoped the Pioneer Pies stall, so we headed back there to pick up a pastried delight. We teamed it with some delicious Booch from Good Buzz Brewing and were left with full bellies and happy faces. We also managed a quick catch up with Rob from Christchurch Bike Share – if you haven’t heard about this great new venture yet, be sure to check it out. We found so many other awesome things that I couldn’t possibly recall them all. I learnt more about eco toilets and enviro-friendly laundry products, along with solar energy options and I also checked out some electric bicycles! This event was so much fun, and really helpful for people who are learning more about living sustainably or just trying to make a start. 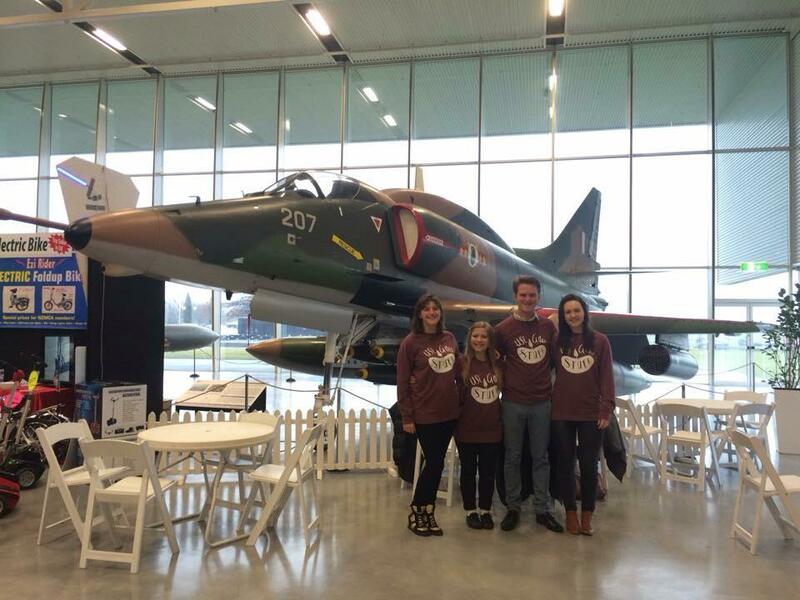 If you missed out, be sure to go next year! Or, if you are in Wellington, you lucky things still have your 2015 expo to come, so get in there! Some of my Go Green haul! 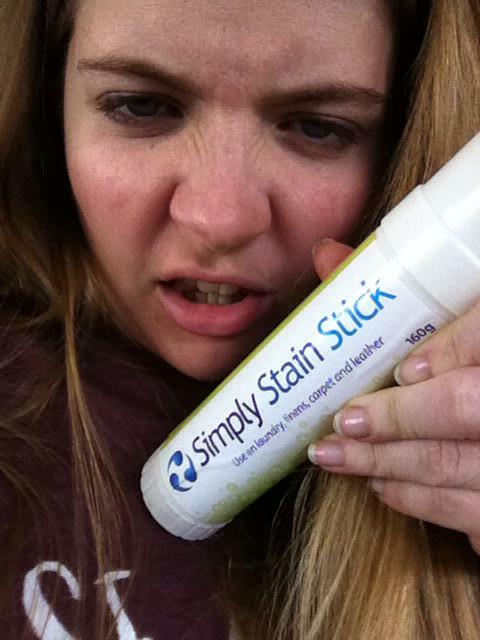 To wrap this thing up, I’m going to share a picture that E Cus sent us, featuring her with her newly acquired, enviro-friendly laundry “stain stick”. 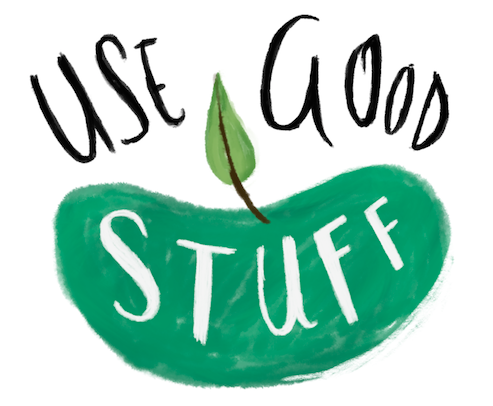 Next postSmartypants – Ethical Fashion with Naomi!